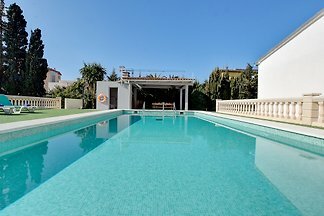 This comfortable villa, located between Cala Pi and Llucmajor, is just perfect for 8 people seeking relax and privacy. This is a fantastic rustic house with private pool in a 9000 m2 plot. It has 250 m2 and capacity for 10 people. Rent successfully your holiday flat or holiday home in Sa Torre in only 20 minutes !